FROM A MOIST LINE OF CLAY. 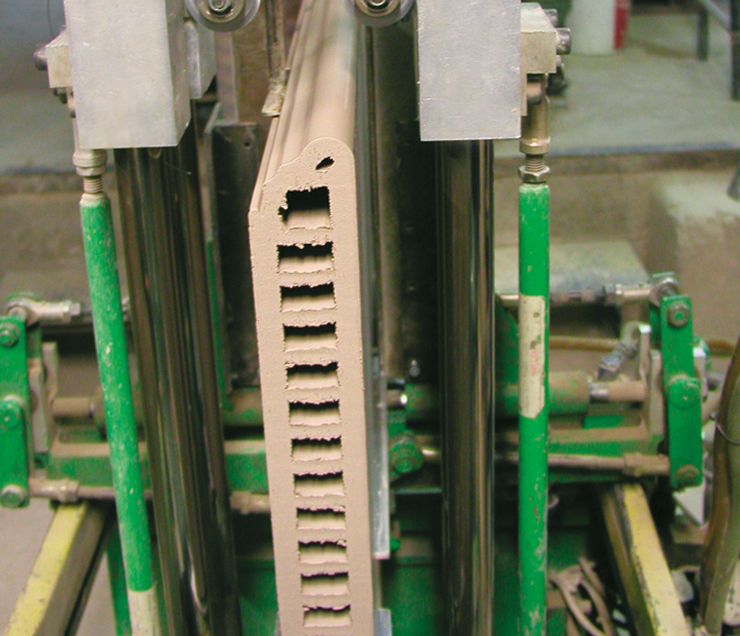 Whereas with other production methods ceramic products are pressed individually out of almost dry granulate the requested format or challenging profile in extrusion is formed out of a kneadable mass with 15 % residual moisture on a continuous line through a mouthpiece and then cross-sectionally cut in the desired length. Large variety of trim pieces and frost resistance - extrusion makes it possible. In dry pressing there are limited possibilities in creating skilful forms. Individual and detail solutions can be found more perfect, more easy and more aesthetically appealing by making use of a multitude of extruded ceramic trim pieces. 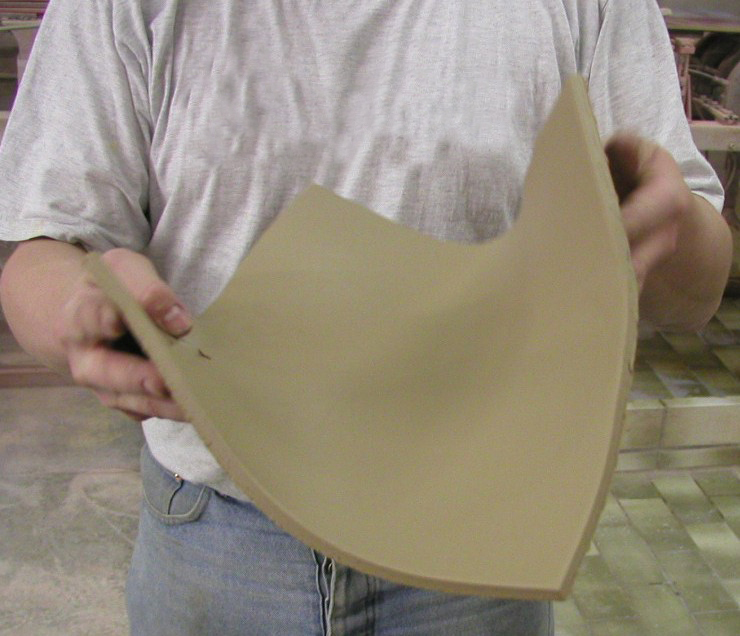 Perfection in application: it's the trim pieces that finally make ceramic floorings perfect. "Pulling the line" also provides the frost resitance of extruded products. High water absorption, special pore structure and optimal adhesive tensile strength set the stage for the Keraplatte and Keraelement on the balcony or terrace regardless of the season and long lasting. Extraordinary colour development and extremely hard-wearing: the result of taking a long, long time. Unglazed, natural and hard-wearing. These are the classic features of tunnel kiln fired ceramic. This special procedure involves something that today’s industrial production considers unusual: time. Lots of time to evolve. The tunnel kiln firing lasts for approximately 36 to 48 hours. During the kiln run there is a gentle transition from one process to another in the heating, firing and cooling stages. This typical firing curve determines the product characteristics. It cannot fail to produce the extraordinary colour development and extreme toughness of the body of the tile. An especially homogenous pore structure that is fully sintered and coloured through-out ensures breaking strength and toughness. The firing temperature and oven atmosphere are simple to regulate in tunnel kilns and having a long time to develop means that the results are absolutely superb even without a glaze. Tunnel kiln firing also allows sufficient time for the chemical colour reaction – time enough to reveal the natural beauty.